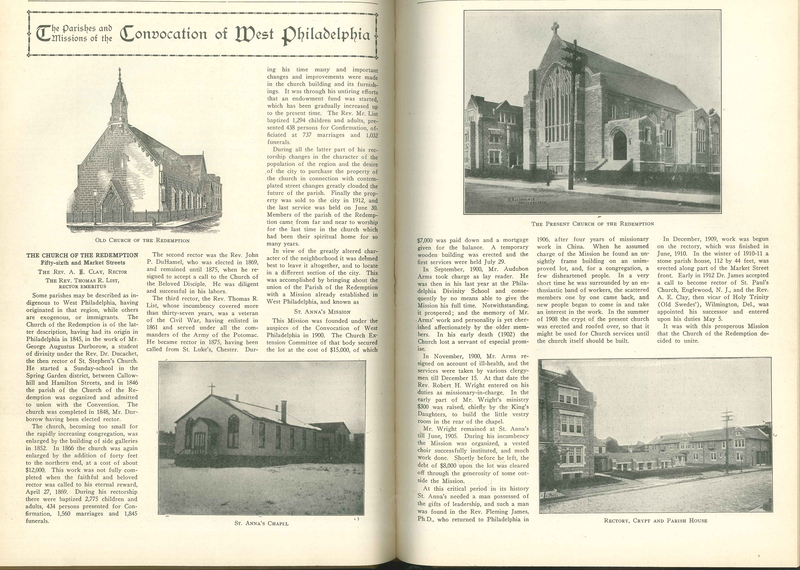 This entry was posted in St. Anna's Church (West Philadelphia), St. James' Church (Kingsessing) and tagged West Philadelphia on February 16, 2018 by mjk38. 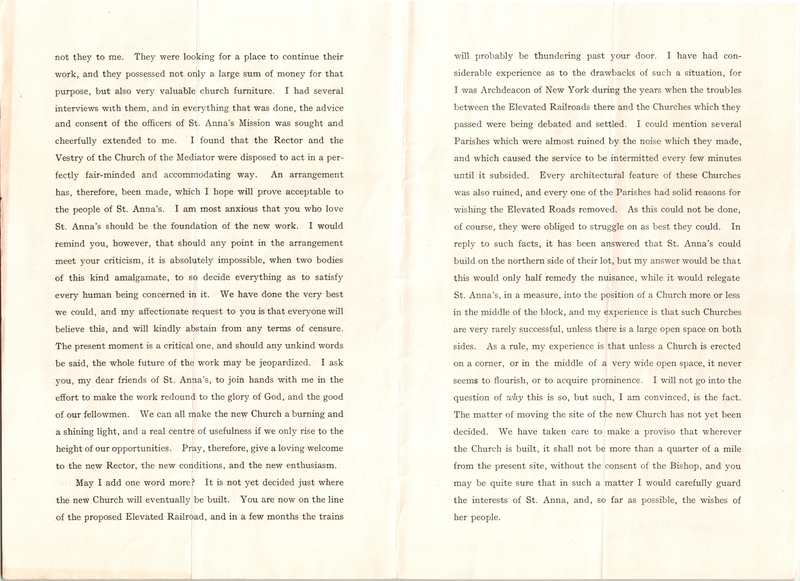 This entry was posted in Church of the Mediator, St. Anna's Church (West Philadelphia) and tagged Alexander Mackay Smith, Archives of the Diocese of Pennsylvania, West Philadelphia on February 16, 2018 by mjk38. 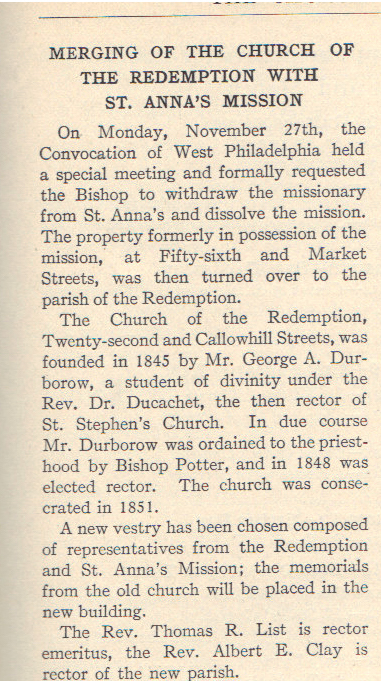 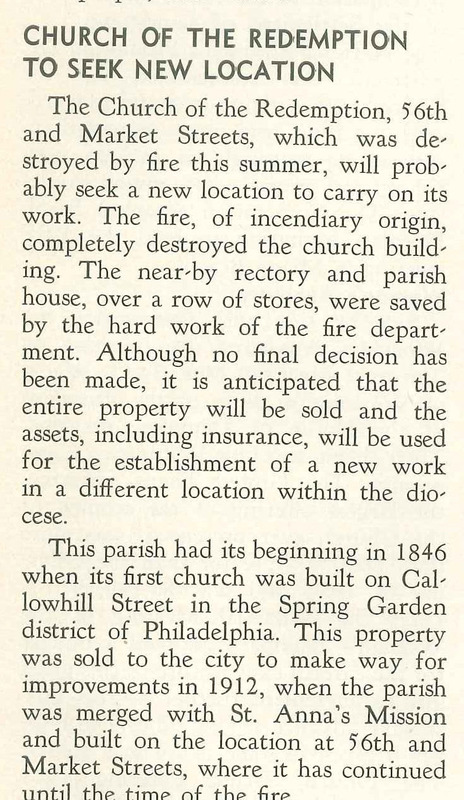 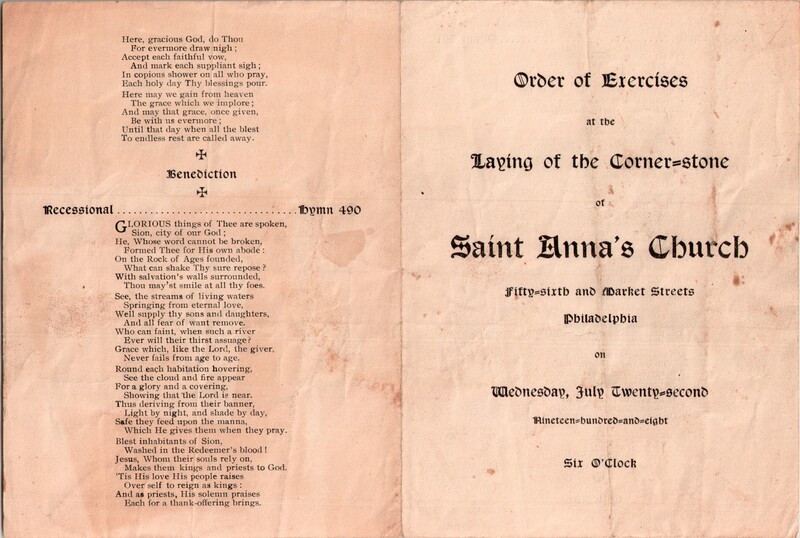 This entry was posted in Chapel of the Mediator (West Philadelphia), Church of the Holy Apostles, Church of the Holy Apostles and the Mediator, Church of the Reconciliation (West Philadelphia), St. Anna's Church (West Philadelphia) and tagged Charles A. RIcksecker, George C. Thomas, Philadelphia Inquirer, Samuel E. Appleton, West Philadelphia on June 9, 2016 by mjk38. 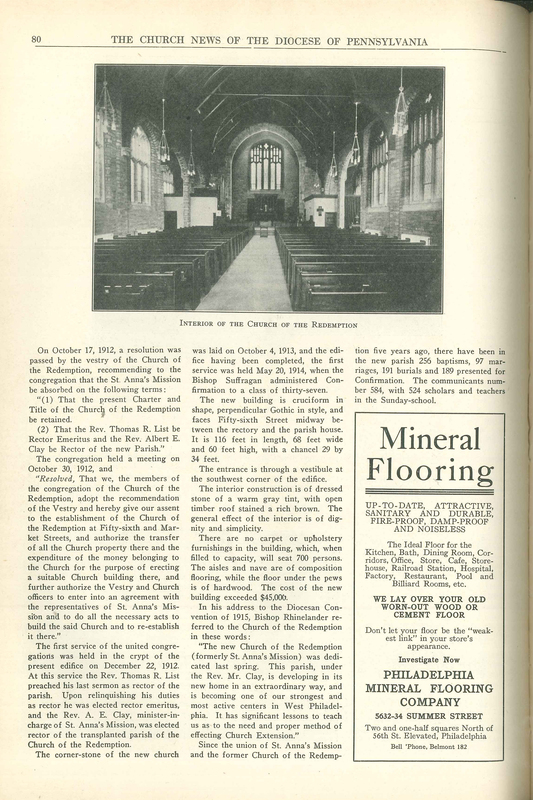 This entry was posted in Church of the Redemption, St. Anna's Church (West Philadelphia) and tagged Church News of the Diocese of Pennsylvania, Cobbs Creek, West Philadelphia on October 13, 2015 by mjk38. 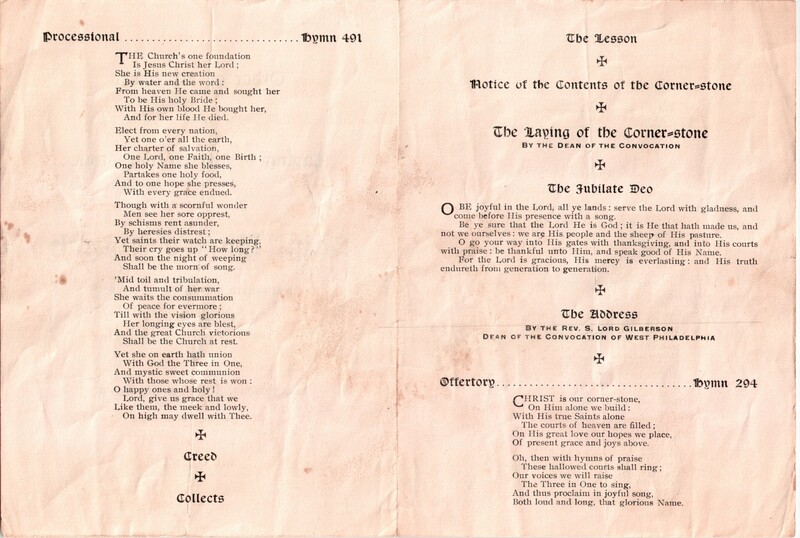 This entry was posted in Church of the Redemption, St. Anna's Church (West Philadelphia) and tagged Albert E. Clay, Church News of the Diocese of Pennsylvania, Fleming James, West Philadelphia on November 23, 2014 by mjk38. 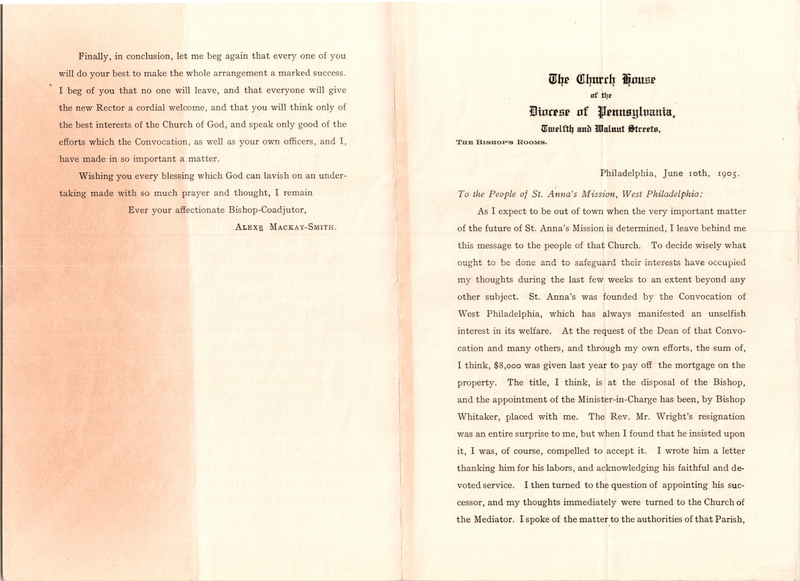 This entry was posted in Church of the Redemption, St. Anna's Church (West Philadelphia) and tagged Albert E. Clay, Church News of the Diocese of Pennsylvania, Fairmount, George Augustus Durborow, Spring Garden District, Thomas R. List, West Philadelphia on July 11, 2014 by mjk38.